I admit I’m not much of a health nut, but I do enjoy taking a foray into organic grocery stores every once in a while. Everything looks so fresh and ripe — and don’t even get me started on the salad bars! Whole Foods Market(state-wide): We may as well start out with the most popular organic market in the country: Whole Foods. You’ll find three of them in Hawaii (although an additional market is about to open in Kakaako on Oahu): One is at Kahala Mall in East Honolulu. Another is located in Kailua. And the third is located at the Maui Mall on Maui. As well as a virtual fantasyland of organic and health foods, you’ll also find salad bars, hot food bars, a deli, and even an eat-in restaurant at most locations. Down to Earth Organic and Natural Foods(Oahu): The store opened in 1977, and the owners support the living of a healthy lifestyle and the preservation of the environment by selling local, fresh, organic and natural products, and by promoting the living of a vegetarian lifestyle. There are five locations on Oahu (sorry, none on the neighbor islands). The chain offers dairy products, local organic produce, bulk foods, vitamins and natural supplements, body care products, and household items. And, the Kailua store features a deli with hot food and cold salad bars, fresh juices and smoothies, a great made-to-order sandwich menu and grab-and-go options and a wide variety of eggless desserts. 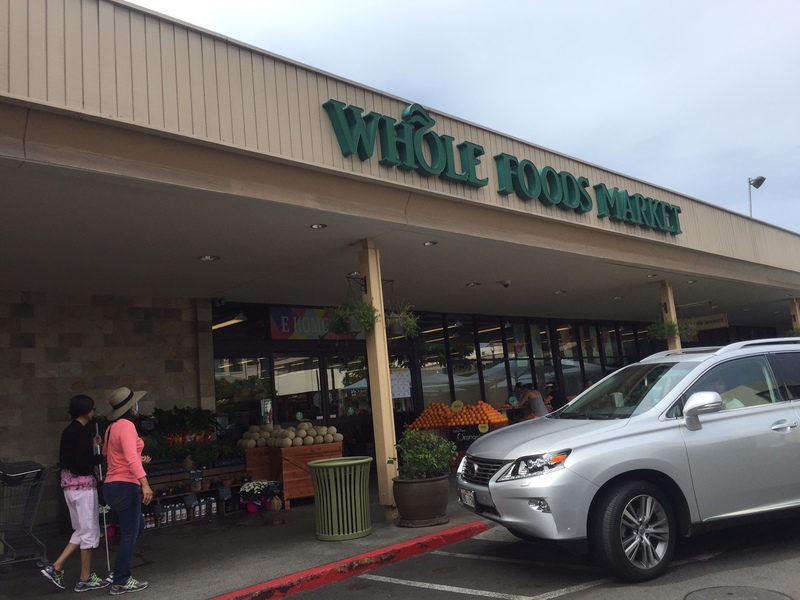 Whole Foods Market is the most popular organic grocery store in the country, but it has only three locations in Hawaii. The location at Kahala Mall had an attached eat-in restaurant. Hawaiian Moons Natural Foods (Maui): This organic grocery store and deli on Maui is about to expand and grow. In fact, the new location will include a new Juice Bar and Deli Cafe, serving fresh organic juices, smoothies, acai bowls, organic coffee, organic espresso, organic cold brew coffee, and Awaken Foods kombucha on tap. The store will also be serving fresh sandwiches and paninis, Maui Cattle burgers, Veggie and Vegan burgers, breakfast foods, and more. Hawaiian Moons Natural Foods is a great place to stock-up on organic snacks before your Maui activity! Island Naturals Market and Deli (Big Island): Island Naturals Market and Deli has three locations on the Big Island. It serves-up organic produce, groceries, refrigerated and frozen items, beer, wine, meat, fish, and bulk products. Each of our store locations boasts an in-house, award-winning deli and organic bakery. Organic food is big business in Hawaii, as many locals prefer to eat farm-to-table. 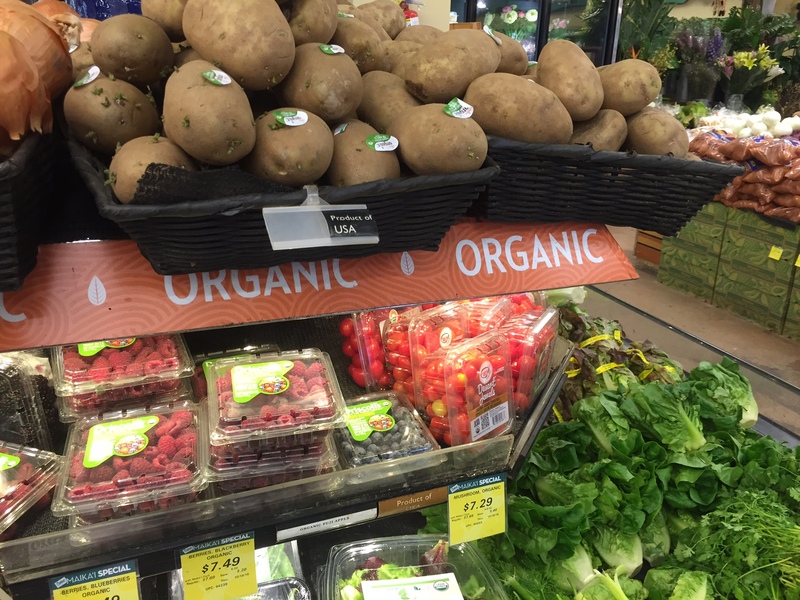 Even in traditional grocery stores, like Foodland, you can find organic sections. Papaya’s Natural Foods and Cafe (Kauai): Papaya’s Natural Foods and Cafe is the largest natural foods store on Kauai, supplying locals and visitors with full lines of delicious, organic grocery, produce, bulk, refrigerated and frozen foods as well as a selection of Health and Beauty products, nutritional supplements and herbal products. The store also has organic beer and wine, household supplies and a large selection of gift items. Papaya’s Cafe has been a well-loved section of Papaya’s for over 20 years. There are always lots of choices for all different tastes and diets, including gluten-free, vegan, and raw. Sure, going on vacation is a great excuse to over-indulge and go off your diet, but why not stick to your health-food regime even while you’re here? Now that you know where some of the best organic grocery stores in Hawaii are located, you don’t have an excuse!